Book your next vacation today! I am a 20 year member of VRBO, and offer to you my 2 condos on Fort Myers Beach. Both condos are in the same Smugglers Cove Condo Building B. One condo is on the 4th floor, and the other is a 6th floor end corner unit. 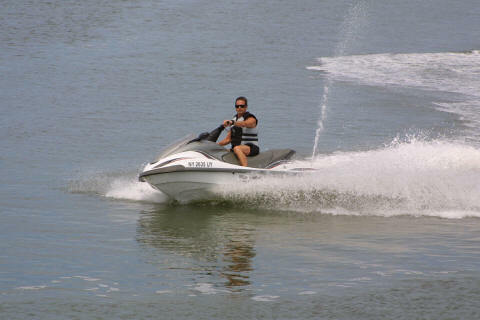 Each is a 2-bedroom 2-bath vacation condo fully equipped and turn key, so just bring your clothes. Located right on the beach, my fully furnished 800 sq. ft. condos feature comfortable living areas, upgraded mattresses, fully equipped kitchens, HD TVs, game systems, movies, and will comfortably accommodate up to 6 guests. 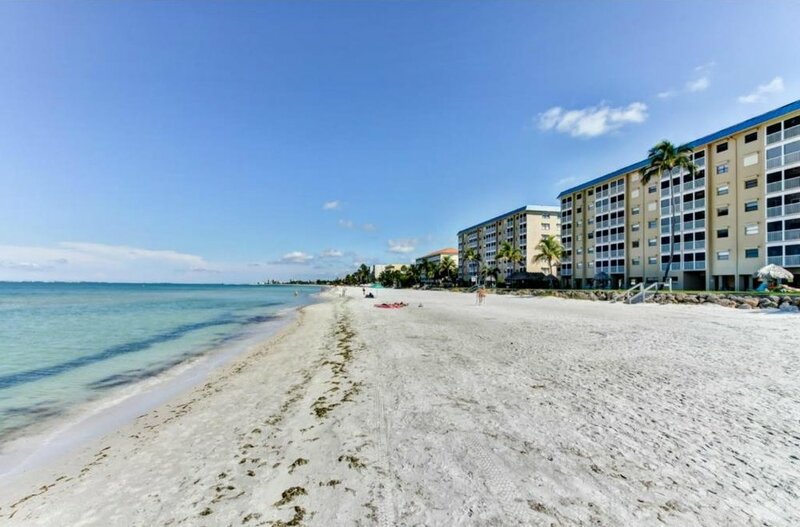 My condos are situated in the middle of Fort Myers Beach, directly on the Gulf approximately 30 minutes from SW Florida international Airport. The Beach Trolley runs the entire length of Fort Myers Beach and stops right in front of the building. A Publix supermarket is 2 blocks away. A large variety of restaurants and bars are all within 2 miles. 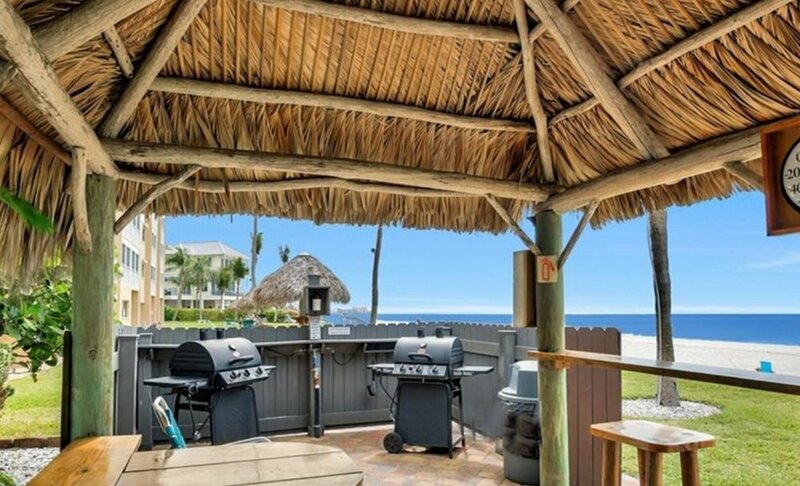 Smugglers Cove Condominium has been rated #1 on the beach every year since 1999, and it's no wonder why, year after year, guests rave about the well equipped and maintained property. There is a Rec Room with a fully equipped kitchen that can be reserved for large gatherings, and it houses a nice collection of books and magazines. Shuffleboard is located on the South side of the building. Bike racks and a Compressor to inflate floats are available along with everything to make your stay unforgettable. Newly remodeled heated swimming pool and deck area are steps from the beach. Spotless brand new laundry facility has large capacity washers and dryers as well as folding areas. The elevator is close to my front door and a clothes valet and shopping carts are available for your use. Behind the building is the endless view of the Gulf of Mexico. Aluminum strap chairs and loungers are available to use on the grassy area. Each of my condos has folding chairs for your use in the sand. Shelling, swimming, snorkeling, fishing or long walks in the ocean breeze...... Yes, that is why your here. 4 Gas BBQ grills are for your use and are situated under the tiki hut at the beach. No finer place to cook your catch, enjoy a glass of wine, and watch the spectacular sunsets over the gulf. Of course, if the everything above is not your thing, There is always Nothing!